SmartSky, which expects to switch on its LTE network nationwide before the end of the year, is prepared to defend its intellectual property if necessary. In a wide-ranging interview with Runway Girl Network at the Aircraft Interiors Expo, SmartSky president, director and co-founder Ryan Stone strongly urged those who might want to infringe on the company’s IP not to do so. 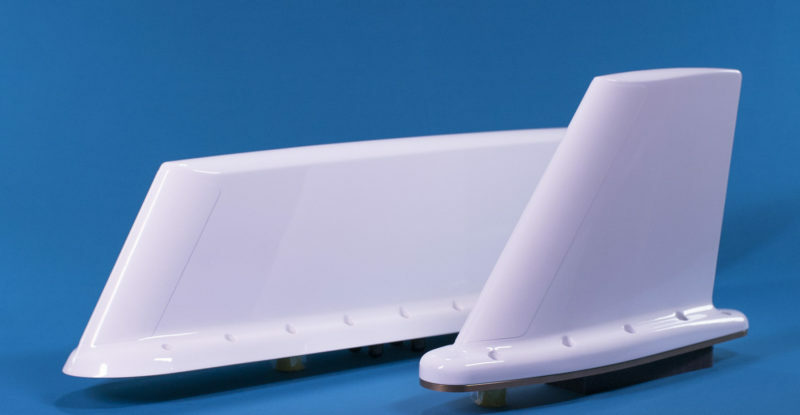 Rejecting noise in the 2.4 GHz of unlicensed spectrum which SmartSky is using to support 4G air-to-ground (ATG)-based connectivity was the fundamental challenge the company had to overcome to make its system work. 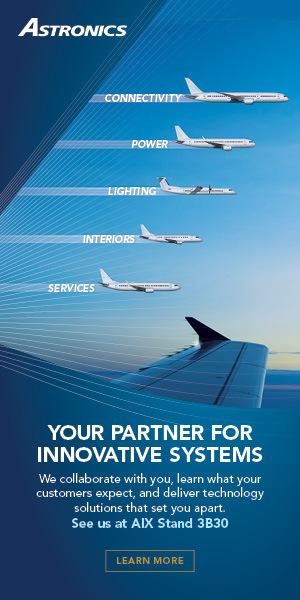 That is what SmartSky’s patents cover, and what Stone says is supporting an inflight experience on its Citation Excel that is making airlines take notice. 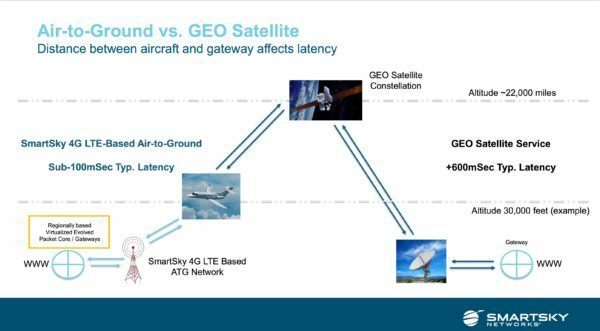 Stone also reveals that SmartSky is interested in working with a satcom partner to potentially offer a hybrid solution which would provide seamless coverage over oceans, and confirms that the firm is pressing forward with strategic ATG-focused initiatives in other countries. To wit, SmartSky was among the companies to weigh in when India sought comment on removing its inflight connectivity ban. 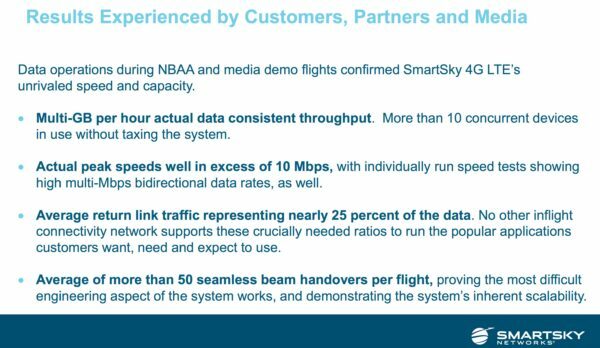 The SmartSky president also explains why low latency is “a religion” for the company, and why he believes this gives the firm an edge. The interview is below. RGN: There is growing momentum behind SmartSky Networks right now that we have kind of observed in business aviation, particularly. Where does everything stand with development of the program? Ryan Stone: So development is going extremely well. The network is live. And we have been flying it, doing demonstration flights for customers, partners, some of the press already. Those flights have been going very well. The network is expanding in coverage. So now about 55% to 60% of the coverage footprint has been deployed. And the rest is filling in. 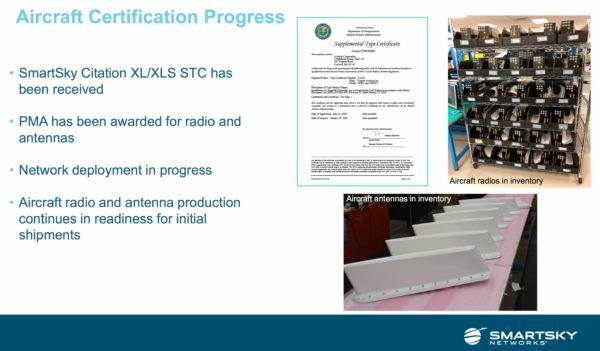 Our biggest accomplishment recently was getting our first STC on our Citation Excel and following up with PMA for the radio and the antennas. So now that’s unlocked the STC floodgates to be able to start those projects and we are at the point where the alignment of STCs finishing and then us throwing the switch on the network nationwide is looking like that will line up for end of Q3, Q4 this year based on STCs being available. RGN: So then you think you’ll be ready to rock before the end of the year? Ryan Stone: Oh yeah, we’re rocking. We are rocking now. We have been rocking for a long time, it’s just now’s the roll. RGN: Your customer list is growing; are you happy with where things stand right now? Ryan Stone: Very. Very. You know this is a hard business right. And we’ve been working on it – some people in the room here since 2011, 2010 – so we’ve been at this awhile. And it’s nice to see it’s finally coming to fruition and the airlines are taking notice. They’re understanding now the value proposition and now that is going to start translating into things in the future. RGN: Really, so you feel confident that you will secure an airline customer? RGN: When I was at the Satellite 2018 exhibition, a couple of people intimated to me that they felt that certain other companies in the space were treading on your IP. Do you believe that, and are you planning any litigation? Ryan Stone: That’s a good question. So here’s what I would say about our intellectual property. We’ve spent a significant amount of money developing it, going back seven years – clean sheet design to make a first of a kind network where you are reusing terrestrial spectrum in the air and all the difficulties that surround that; not trivial problems. Many in the industry said it couldn’t be done. And now that we have shown it can be done, we have imitators which is great. It’s flattering. 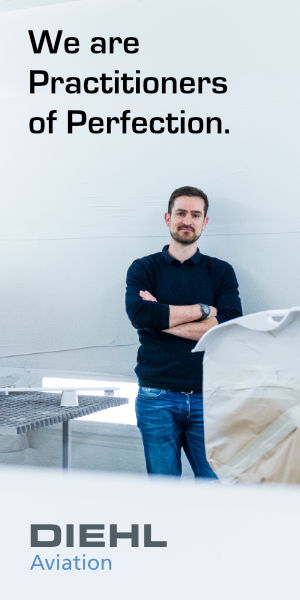 From the standpoint of our IP, we like to focus on it protecting what we are trying to do. So to the extent that others want to infringe, I strongly urge them not to. But from the standpoint of how we view our IP, it is protecting what we are trying to do. We feel like we have that protection and it’s very broad and it covers various aspects. So, it’s not just like we are hinging on one patent and if you can figure out the way to work around one patent… We have about 35 now, and of those of our original application that got this whole company started, I think we are up to eight on that … So it’s more than just one. So defense and depth and we think it’s important because our customers are expecting a lot of us and we want to make sure that what we are doing is [protected]. RGN: So you are prepared to defend it if need be? 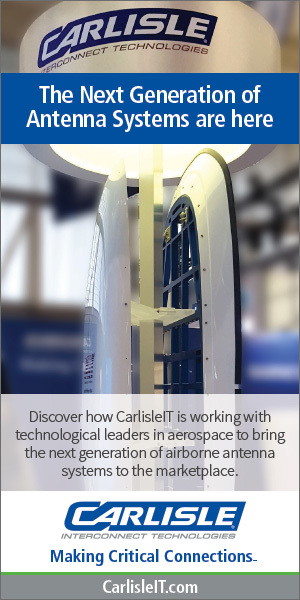 RGN: Obviously another big point of conversation at Satellite 2018 and of course to a certain degree here at AIX is how antenna technology is evolving. In terms of what you are seeing with your own hardware [from AeroAntenna, purchased by HAECO], are you pleased with where it is at? 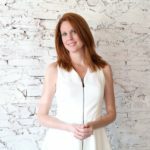 Do you see a need to evolve it in the near term? Ryan Stone: So we are always evolving. 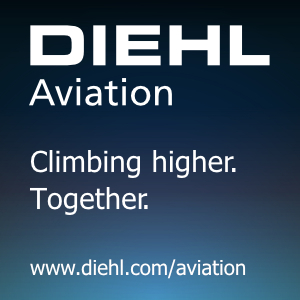 You can’t sit still in this industry and … you know the hard part is when you add in the complexity of aircraft certifications – hardware qualification, and the timing for the supplemental type certificates – it’s a lot of investment. So once you get something, everyone wants to try and stick with that. So what we’ve done is try to approach things in a modular way, with scalable technology where a lot of the upgrades can be done with minimal disruption to a customer. And what we have done is keep up with developments as we’ve evolved our technology. So, you’ll see many elements, like for instance 5G. We have elements of 5G already embedded in what we’re doing. The beamforming technology is one example. That’s a 5G kind of technology. We’re going to be the first network that is one beam per plane and your traffic is not being broadcast to everyone and you are relying on encryption to not have it be seen. This is physical security. Our average demo flight, I think, the average time spent in a beam was about 22 or 23 seconds. These are very narrow beams so we are doing instantaneous handoffs between them and you know, in a half hour you might do 50, 60 beams or more that are covered. The other aspect of 5G that we are doing for instance is a virtualized evolved packet core technology. We’ve talked about that in the past. This is an example where for us latency, low latency is a religion if there is such a thing in our business. We have religion about that and as a consequence our architecture is such that you get the traffic from the plane to the Internet as fast as you possibly can. Keep the latency for the whole end-to-end system below 100 milliseconds. As a comparison a GEO satellite might be 600+ milliseconds. Now that doesn’t sound like that big of a deal, what’s half a second? 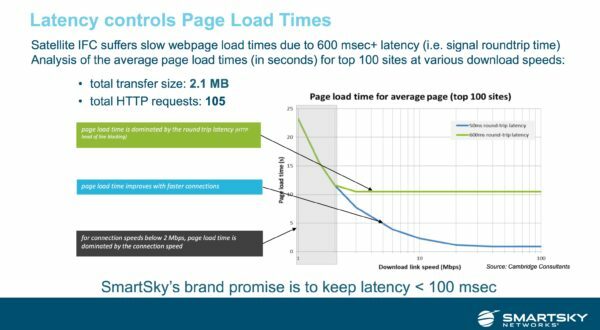 What really matters is the roundtrip time for all the requests that go on when you request a webpage … You can keep adding speed but if you don’t have low latency it doesn’t matter. It doesn’t impact that page load time and you kind of get stuck. So that’s a 5G technology that is virtualized evolved packet core that keeps the latency low and we just got a patent on seamlessly relocating the home of the aircraft as it travels from one spot to another so that you’re not constantly taking the traffic … so say you left in New York and now you are over California, you shouldn’t send the traffic all the way back to New York because that’s where you started. 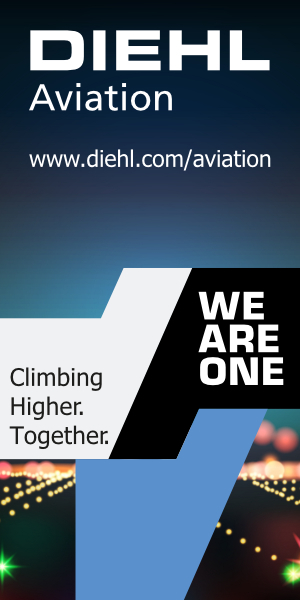 Well we don’t, we actually would send that to our San Jose data center or, if you are over Denver you would then relocate to that, and we seamlessly relocate the home of the airplane – from an Internet perspective – as it travels. Again to keep latency low. And that is such a big factor in the overall experience. So we are keeping up. 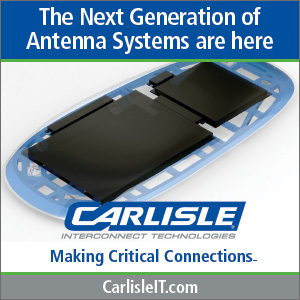 There is always new things we are cooking as well and antennas are always a hot topic. RGN: Given the flights that you have done so far and the testing you have done so far, is there noise in the unlicensed spectrum that you have to worry about? Is that a challenge on any level? Ryan Stone: Most definitely. That’s actually the fundamental challenge that we had to overcome to make our system work. So if you can imagine reusing the terrestrial 2.4 GHz wifi spectrum in the air, everyone who is using that spectrum on the ground is producing interference that we have had to deal with. That’s what out patents cover – is how we reject that so we are ignoring that interference and are able to get our signal from the ground to the air and then likewise the reverse problem which is, how do you get the signal from the airplane to the ground without disrupting the ground. And the way that we have our patents and the technology works, the aircraft-transmit power is the exact same power as the wifi that you use in your house. And yet we can send that well over 100 miles and it’s because of our phased array beamforming technology that we are able to do that. So focused energy. RGN: Are you as yet eyeing expansion elsewhere outside the United States? I know that the larger plan has been to do that, but is there anything that we should be aware of in the nearer term? Ryan Stone: So we are actively working that. Not going to give any promises. I would like to introduce at the table here Krishnan Menon, he is our director of strategic initiatives and one of our strategic initiatives is our international air-to-ground deployments and that is what he is actively working right now. RGN: So can I ask where you are actively working? Krishnan Menon: We’re not at a point where we are ready to talk about it yet but what we would say is we are actively pursuing partnerships and looking for strategic partners in the locations that we are. And so the nice thing is that we are seeing very valid responses from the partners that we have talked to already. Ryan Stone: I will tell you this just because it is publicly available, save you the trouble, we did file in India when they put out their requests. As a consequence of that, they were very enthusiastic about adding air-to-ground to their initial requests where it initially started as just satellite. RGN: I have got to check that out again. What about over oceans? I believe I joshed about it a while ago but I think the original specs said perhaps use a maritime element if I’m remembering correctly? Ryan Stone: You are thinking back to the original patent – mesh networking, so you could to do that. I think our strategy today relative to the oceans is there is a reason satellites exist and it’s for broad coverage and as you know we are proponents of satellite. We are not air-to-ground religious. What we are is we are doing an air-to-ground network. We think that we are very synergistic with satellite and we think that satellite is very effective for covering many areas of the globe but likewise that strength is also the weakness. That broad coverage means that when you get high density flight corridors, all of a sudden the satellite gets challenged and so you see the satellite operators introducing smaller and smaller spot beams. But they are not as small as our beam, which is one beam per plane. So, it’s a different environment. And so that’s why they complement each other. And a satellite also has the latency issue. You don’t have as strong a return link so the two technologies very much complement. In business aviation as you know, most of the heavier iron [carry both]. 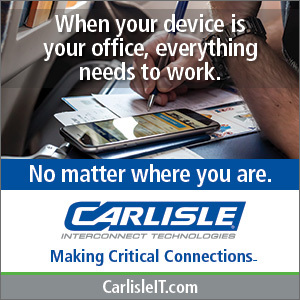 The initial router that we certified with, we certified with because it was a multi-network capable router so you can have your satcom system or multiple satcom with an air-to-ground. And we see in commercial aviation there’s been more interest than I thought there would be at this stage in that. RGN: Interesting, so would you envisage an actual formal hybrid solution … working with another partner in satcom and then effectively coming together for a solution that will roam into ATG when in the US and via satellite elsewhere? Ryan Stone: Yes, I can envisage that. I can envisage formal and you can also do it informally. You can program into the router, it’s not as elegant. RGN: Right, two separate boxes but program it so that it works together. So that’s all in play then and you guys are going to be going in that direction with satellite? Ryan Stone: I think so. RGN: That’s interesting. What’s the capacity like? Ryan Stone: So we don’t release specific capacities and GB/s or things like that for the network. Again it’s because of the beams … So the way we’ve talked about is what we’ve done is we take people on a flight, they do whatever they want. They see the experience and then afterwards we give them a report and we say ‘okay this is what you just did’. And as you’re landing you get your spreadsheet and it says ‘here was your recent flight, there were about 4GB an hour’ was sort of the amount of data. RGN: And you are also focusing on effectively what to do with that data when you have it then? Ryan Stone: Right. So, we have our whole Skytelligence side of our business. We’ve talked a little bit about that before and we’ll be going into that a little but more into the future and explaining how that might work. And like right now we are working with different partners behind the scenes on doing some of the initial implementation on that.